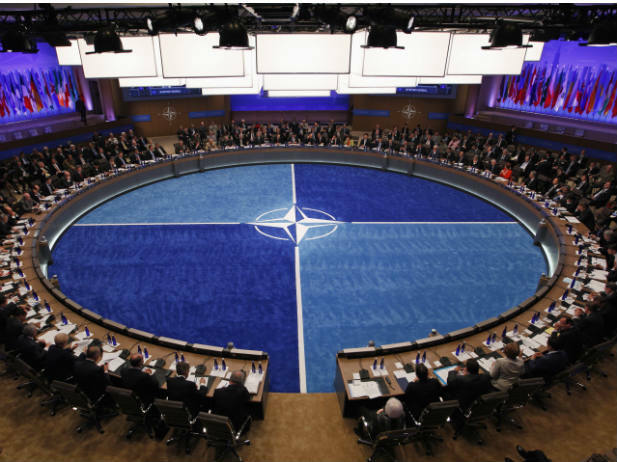 CHICAGO, USA -- The North Atlantic Treaty Organization (NATO), at a summit in Chicago, expressed concern about selective justice and politically motivated prosecutions in Ukraine, sending a strong message to President Viktor Yanukovych. The declaration is embarrassing for Yanukovych, who is one of about 60 world leaders invited to attend the summit. His political allies hoped the gathering would be a breakthrough overcoming his growing international isolation over democracy. "We are concerned at the selective application of justice and what appear to be politically motivated prosecutions, including of leading members of the opposition, as well as the conditions of their detention," said the declaration approved by the NATO summit on Sunday. NATO also encouraged Ukraine to address the existing problems of its judicial system to ensure full compliance with the rule of law and the international agreements to which it is a party. "We also encourage Ukraine to ensure free, fair and inclusive parliamentary elections this autumn," the declaration said. Yanukovych had three scheduled bilateral meetings at the summit, with presidents of Poland, Romania and Afghanistan. Polish President Bronislaw Komorowski and Romania President Traian Basescu urged Ukraine to improve democracy and to ease the pressure on the opposition leader, former prime minister Yulia Tymoshenko, amid concerns this would worsen prospects of closer relations with the European Union. Yanukovych’s meeting with Hamid Karzai of Afghanistan was aimed at improving economic cooperation with Ukraine. Yanukovych was invited to the summit for the role that Ukraine plays at international peace-keeping operations, including in Afghanistan. Boris Tarasiuk, Ukraine’s former foreign minister and the leader of an opposition Rukh party, said the bilateral meetings in Chicago underscore the growing isolation that Yanukovych is facing in the world over the treatment of the opposition politicians. But Yanukovychy’s allies see his invitation to the summit – and the declaration – as a proof that the Ukrainian president has managed to break the possible isolation. “The invitation to such an important summit is a good sign for Ukraine,” Volodymyr Oliynyk, a lawmaker from the Regions Party, told Channel 5. “After reading the declaration I see that it is much softer” than it could be and is “focusing on changes in legislation and judicial system, and calls for honest elections,” Oliynyk said.